Product categories of Custom Earring, we are specialized manufacturers from China, Custom Earring, Custom Holiday Casual Earrings suppliers/factory, wholesale high-quality products of Custom Handmade Earring R & D and manufacturing, we have the perfect after-sales service and technical support. Look forward to your cooperation! 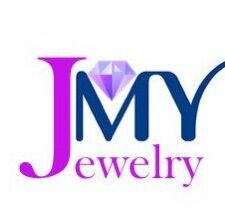 The JMY custom earrings collecting features a vibrant selection of stylish accessories for the modern woman and showcases the brand`s renowned precision cut and high quality material. The JMY earrings collection includes simple geometry, shinning crystal,and printing,These are just a few shimmering examples of JMY earrings. Created for the fashion forward woman and for every occasion, JMY earrings embody the brand`s innovative design and sparkle in a dazzling array of clear and crystal colors. Enhanced every season with spectacular new pieces, the beautifully crafted pierced earrings collection can be worn with matching JMY necklaces and bracelets to enhance any outfit. Home |Products |About Us |News |Contact |Tags |Recommended |Index |Sitemap Copyright © 2019 Dongguan JMY CO,. LTD. All rights reserved.